READ. DISCUSS. DO! New Social Media Campaign Celebrates READING and BEYOND! This week my author friend Rebecca J. Gomez (WHAT ABOUT MOOSE? (Atheneum, 2015) and HENSEL AND GRETEL: NINJA CHICKS (G.P. Putnam’s Sons, 2016)) shared with me a wonderful new reading campaign she and her co-author Corey Rosen Schwartz are working on called Read. Discuss. Do! Read. Discuss. Do! (hashtag #ReadDiscussDo) celebrates reading beyond the book by creating sharable images that give simple ideas for book related discussions and activities. Rebecca got the the idea after creating an image specifically for their co-authored book WHAT ABOUT MOOSE? (pictured above) in the hopes that it would encourage people to think beyond the story when reading with kids. However, when Corey saw the original image, she and Rebecca decided it would be fun to take the idea further and include other authors and their books! That’s when Rebecca contacted me to see if I’d like to create a short #ReadDiscussDo activity for GOODNIGHT, ARK. I replied, yes, of course. And so Rebecca created an image for my book as well. Thank you, Rebecca. The format is similar to her original except she’s replaced her website address with the hashtag #ReadDiscussDo. Rebecca hopes this fun reading initiative and social media campaign will really take off, reaching parents, caregivers, teachers, librarians and more. 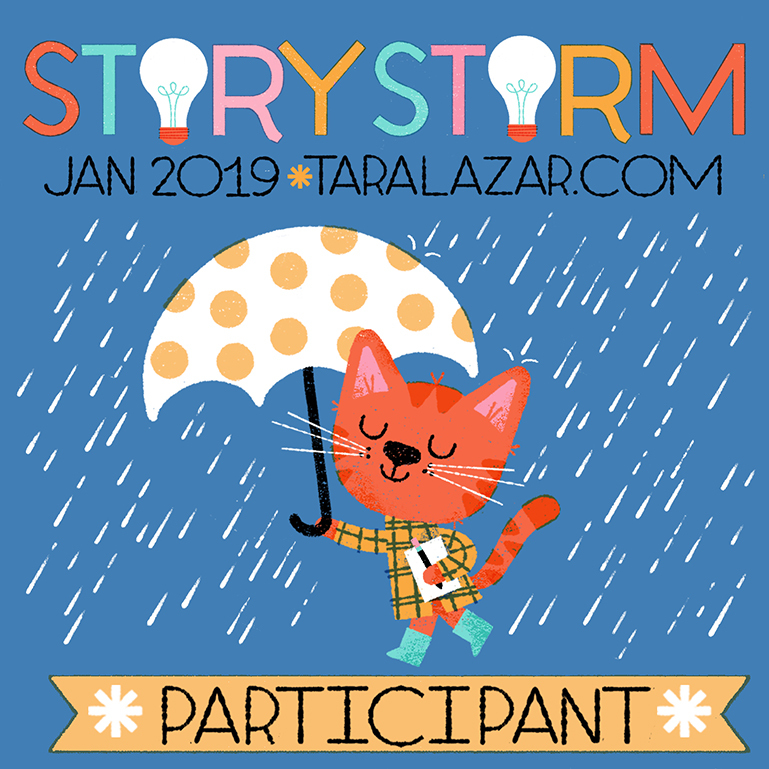 How can authors, parents, teachers, or librarians get involved? By tweeting and retweeting and sharing on Facebook, Pinterest etc. using the hashtag #ReadDiscussDo. We can also post story time tips using that same hashtag. Rebecca will also be creating more sharable images for other books. If you’d like to learn more, contact Rebecca via the “School Visits” tab of her website. Finally, I’ll end with a little hashtag hunt. Head on over to Twitter or Facebook, type in #ReadDiscussDo and see what you find. Have fun! The ability to interpret visual clues, i.e to read the pictures, is an important skill for pre-readers and emergent readers because it encourages a deeper level of thought and reflection, laying the foundation for strong reading later. It’s an opportunity to think about story elements like plot, mood, and character. 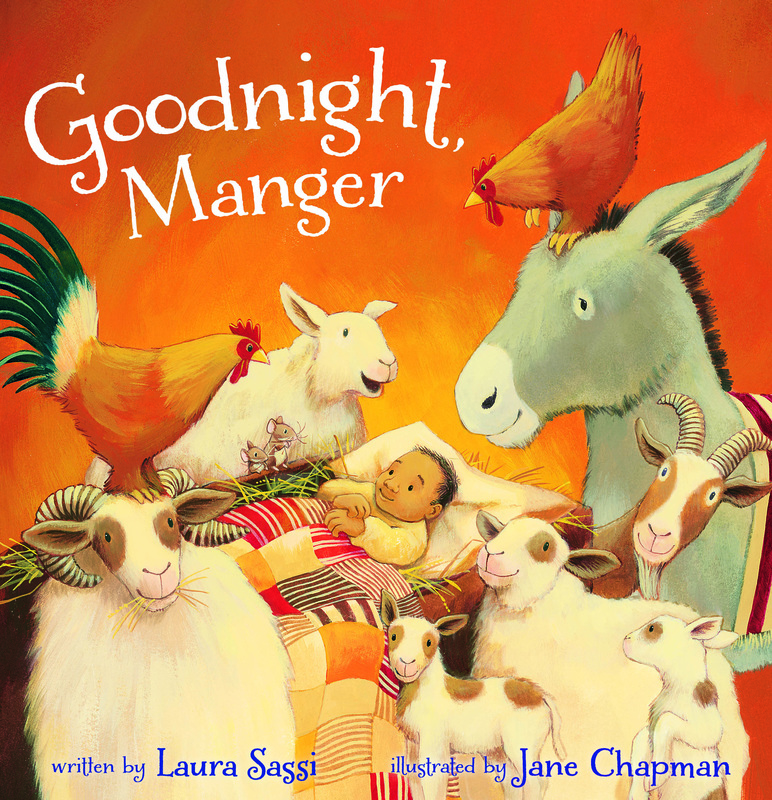 With this in mind, here are some visual-based strategies that will enrich your child’s reading of GOODNIGHT, MANGER. PONDER THE PLOT: As the story unfolds, each spread depicts what happens as Mama, Papa, and the animals try to soothe an overtired Baby Jesus. After reading the text on each spread, pause to ponder the pictures, making observations and predictions about the plot. Say things like: “See how Mama is hugging Baby so gently. Do you think he will sleep?” or “Look at the manger. Is it like your bed? How is it different?” and later, as Papa rocks Baby after the angels disperse, ask: “Do you think Baby will sleep now? Why or why not?” In other words, use the pictures to dig deeper into what’s going on plot-wise. MARVEL OVER MOOD: Jane Chapman skillfully uses color and movement to capture the changing mood of the story. As you read the story, pause to consider the mood the colors convey. For example, the first few spreads have a yellow-orange glow which fills the pages with a sense of coziness and comfort. The characters in the opening spreads are still. Their movements are gentle. But the mood shifts as soon as Baby starts to cry. The mood becomes joyous as conveyed by the vibrant movement of angels. And the color shifts to a joyous, pure starry-skied blue. As the spreads progress, the mood while joyous, also becomes frenetic. There is so much movement and action, that it seems that Baby Jesus will never be able to sleep. Foxes dance, sheep leap, and poor Mama looks at wit’s end. And then, at the end, the calm, cozy orange glow returns, balanced by an awesome blue star-lit sky. CONSIDER THE CHARACTERS’ FEELINGS: The facial expressions of Jane’s characters are eye-opening. As you read with your child, take time to consider the feelings expressed by each characters facial expressions and even body language. Note the love in Mama and Papa’s faces as they try to soothe their tired Baby. Note the doting eagerness in Hen’s body language as she offers her feathers for Baby’s bed and the uninhibited joy of the angels as they play their instruments and sing and dance in honor of the Baby’s birth. Note the exhausted exasperation on Mama’s face as the shepherds and kings arrive. Finally, notice the wonder and love on the faces of human and beast as they gather round for their closing lullaby. EXTENSION: Apply these visual-based reading strategies to each new picture book you read. Have fun! TEN WAYS to Encourage LITTLE ONES to become LIBRARY LOVERS for LIFE! As a child I LOVED going to the library. The library opened my eyes to new ideas and faraway places. And I’m certain that my love of writing is rooted in my early connection to books through the library. Now, as a parent, I want to pass that love on to my children so they too will appreciate what a public treasure libraries are. They are free, open to the all, and anyone can check out the materials. With that in mind, here are ten ways we can encourage our kids to be library lovers for life! Have a designated “Library Day”. When my kids were preschoolers, Tuesday was our library day and my children looked forward to it all week. They’d enthusiastically help me pile all our materials to return into a designated canvas tote. Then, off we’d go! Explore every nook and cranny. We expanded our horizons by making browsing the stacks a game. Each week, we would explore a different section, selecting at least three new items to bring home. And guess what my son discovered? He loved NON-FICTION best! Trucks, dinosaurs, civil war submarines… you name it, he and I read books about it. And my daughter? She loved how-to books, books about ballet and anything funny! Allow on-site time for cozy reading. We don’t rush home after selecting our books. Part of the magic of the library is getting to sit in a cozy corner surrounded by books, books, and more books! These slanted reading tables were a favorite reading spot when my kids were little. They also loved the bean bags. Take advantage of scheduled children’s programs. Story time, book club, Lego building club, and therapy dog reading night! These are just a few of the many wonderful programs our library offers to get kids hooked on reading and LOVING the library! See what your library has to offer -I’m sure you will be amazed and delighted. Hug your librarian. The library just wouldn’t be the same without the knowledgeable staff. I introduced my kids to our librarians early on. To this day we love and rely on their advice. Very often, when we stop in, they have set aside a book that they think one of my kids will enjoy. And we are always sure to say thank you. A handmade card, book mark, or note is another kid-friendly way to show appreciation. Invite a friend to join you at the library. Did you know that standing in line to check out books is extra fun with a friend? At least that’s what my kids tell me. And reading cozily in the library is extra fun with a friend too! So the next time you and your kiddos feel cooped up on a rainy day, invite a friend to join you at the library for some extra special book time. Celebrate the reading of newly borrowed books and old favorites by talking about what you are reading at dinner, on walks etc. We love talking about what we are reading at dinner. These chats occasionally evolve into something more – an impromptu skit of a favorite scene, a quick sketch on the chalkboard to demonstrate something newly discovered, or a race to ask “Siri” a question to confirm or shed new light on something we have read. Support the library kid-style. Our Friends of the Library runs a book sale several times a year which helps support special programs. One way my kids support this is by sorting through their own book and dvd collections a couple of times a year and then donating selected items to the book sale. They also like to bring change from their piggy banks and shop! Participate in special reading programs that link the library to home. Library-sponsored home reading programs like the summer reading program keep kids coming to the library every week, even in the summer. Many libraries also offer special reading programs that run all year long. Our library, for example, has just inaugurated the “1,000 Books Before Kindergarten” program which encourages parents to read 1,000 books with their children by the time they enter kindergarten. The program includes charts and cute incentives. For more information, check out the “1,000 Books Before Kindergarten” website. Your turn! Okay, I cheated with only nine, but that’s because I want to hear from you! How are you passing your love for the library on to your children? I look forward to your thoughts. Even littlest ones who aren’t yet fully speaking enjoy pointing to the animals in GOODNIGHT, ARK and making the accompanying animals sounds. 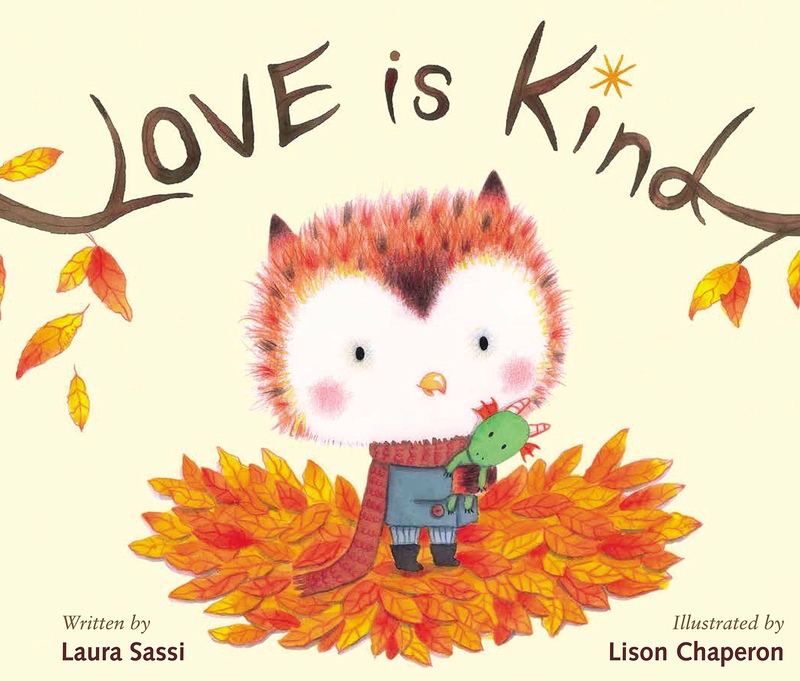 Seizing upon that intrinsic love, here are some sound (and action) activities to fully engage littlest readers and build early language skills. Hiss and Roar: As you read with your child, go on an animal hunt. Ask simple questions: “Where is the tiger?” or “What’s that?” (as you point to each animal). Let your child touch each animal. Then ask “What sound does the tiger (or sheep etc.) make?” Make the sounds together and have fun. Stomp and Slither: Enhance the animal exploration by adding simple motions to the animal sounds. For example, a swooping arm for the elephant’s trunk, stomping feet and clawing hands for the tiger, two hands held close to the head for sheep ears, and pinching of the nose for a skunk. Be creative and enjoy the fun of bringing the animals to life. 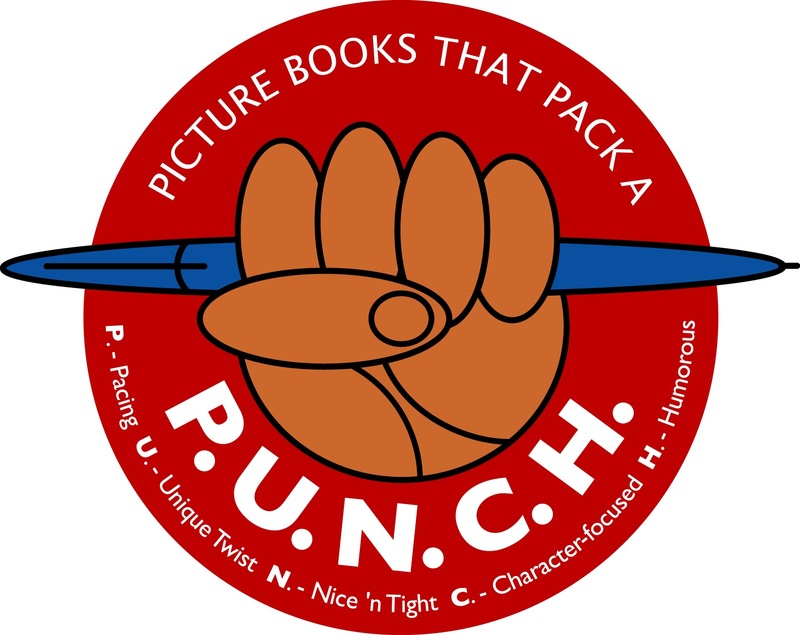 Extra, Extra Fun: Add interactive sound and motion elements to each new picture book you read. Have fun! Making predictions is an important skill for emergent readers (and all readers for that matter.) With that in mind, here are some prediction strategies young sleuths can use while reading GOODNIGHT, ARK. PONDER THE PICTURES: As the story unfolds, each spread depicts new pairs of animals dashing to Noah’s bed. What does your child predict will happen as they keep jumping into Noah’s bed? Will Noah wake up? How will he get them back to bed? Observant young readers may also notice that the bed changes shape as it fills up. What might this lead to? And what about those quietly sleeping skunks? Do they predict will wake up? And if so, what might happen next? PAUSE AT THE PAGE TURNS: Each page turn is a perfect opportunity to pause and guess what will happen next. So before turning, ask your child what they think is about to happen? Then… turn the page and find out. USE THE RHYMES AS RIDDLES: Listening for rhyme is a great pre-reading skill and one that kids love. Astute little readers/listeners will also enjoy using rhyming clues to guess what will happen next. For example, when it pours, it wakes the boars and when there is hail, it wakes the quail. Don’t forget to praise your little ones for their great detective skills! EXTENSION: Apply these strategies to each new picture book you read. Have fun! Identifying and creating rhymes is a great way for little ones to build phonemic awareness. With that in mind, here’s an activity that builds upon the rhymes in GOODNIGHT, ARK. GOAL: After reading GOODNIGHT, ARK K – 2nd grade classes will create their own rhyming storms, then use their class-generated “rhyme drops” to play some rhyming games. 1. Cut several white clouds and colorful raindrops from sturdy paper. Tape or glue two or three ribbon strands to each cloud. 2. Select several of your favorite rhyming word pairs from GOODNIGHT, ARK. 3. Print one word pair on each cloud. 4. Using the pairs from the story as examples, have kids generate other rhyming rain drops. Hang drops from the appropriate ribbons with paper clips. 5. Once you have your storm of rhyming words, play some “Rhyme-Drop” games. Here are three to get you started. Match the “Rhyme Drops”: Place six different pairs of “rhyme drops” (from different clouds) face down. With a partner, or independently, turn two “rhyme drops” over at at time. If they rhyme, keep them. If not, turn them back over and try again. For added challenge, try placing more pairs face down or place them down in rhyming sets of three (triplets version). One of the basic rules of picture book writing is that writers need to let the illustrations tell part of the story. Teachers, parents, and kids can have fun looking for this principle in action in GOODNIGHT, ARK. This activity should have a game-like quality as you and your child hunt for extra funny bits that are only in the pictures! To get you started, here are some great examples of how illustrator Jane Chapman uses illustration to add humor and even extra plot details to GOODNIGHT, ARK. Look carefully, for they are subtly sprinkled throughout her rich and colorful spreads. Extra Animals: In addition to the key players, Jane adds extra animal guests. I found nine extra pairs. Can you? Extra (funny! )provisions: The text makes no mention of specific provisions, leaving lots of room for Jane to add humorous extras like the canned cat food that rolls across the floor on the tippiest page in the story. It took me several reads to notice them. What other funny provisions do you see? Underwear! : Every child I’ve read my story to has howled at Jane’s humorous inclusion of polka-dotted boxers quietly hanging on the line to dry. We’ve also chuckled over the toothbrush. Both nice touches, I would never have thought of. What other humorous extras can you find? Extra Plot Layer: I don’t want to give away the most exciting part, but a certain pair of creatures is instrumental in restoring balance on the ark. In her illustrations, Jane brings out the personality of this pair in a darling way, even hinting through their gestures that they planned the whole stinky thing. I LOVE that extra layering! BONUS ACTIVITY FOR KIDS: Write a story and illustrate it. Be sure to include at least one extra funny bit in the illustration that is not included in the text. Share your story with a friend and see if they can find your extra funny bits. Note: A variation of this post first appeared on Susanna Leonard Hill’s blog as part of her Perfect Picture Boo Friday series. Teachers and Parents: This is the first in a series I will be posting especially for you. Seeing and recognizing patterns are important skills for pre-readers. They lay the ground work for understanding words and stories. With that in mind, here are some fun pattern-related activities you and your child might enjoy after reading “Goodnight, Ark”. 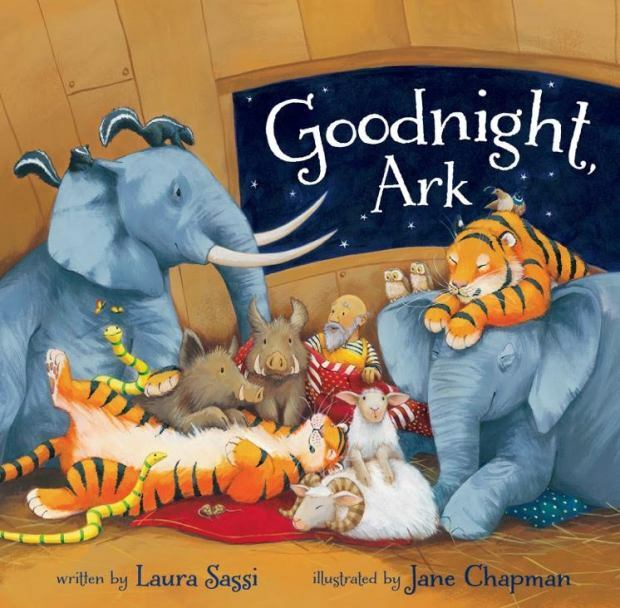 Picture Patterns: Each page of “Goodnight, Ark” is full colors and patterns. Colors alternate. Shapes are repeated (ex: round apples, crescent-shaped bananas, rectangular netting). Stripes and dots abound. Look carefully, and you’ll even find swirls. As you explore Jane’s wonderful illustrations, see how many visual patterns you and your child can find. Afterwards, grab crayons and paper and make your own patterns. Or go on a pattern hunt around your house looking for fun visual patterns in curtains, plants, tiles etc. Text Patterns: The text, too, is patterned visually. Pre-readers might enjoy examining the lay out of words. With your child, notice how the text is clumped into verses. Count how many lines are in each verse (four) and note that this is a repeating pattern throughout the story. Sound Patterns: When you read the story aloud you’ll note that the sounds of the words form their own patterns as well. With your child, listen for sound patterns. Each verse contains rhyming words at the end of the 2nd and 4th lines (ex: dash/crash, slide/glide). There are also words that repeat one right after the other (ex: rain/rain, pop/pop ping/ping). Another pattern young listeners might notice are the repeating beginning sounds in within some lines (ex: zip/zing, squee/squee/squawk!). After exploring these various sound patterns, you and your child might enjoy making a game of creating your own sound patterns using rhyme, repetition, and alliteration. NOTE: This activity was first featured on the terrific preschool blog, Our Out-of-Sync Life. Lately, our cockapoo, Sophie, has been joining my daughter and me for storytime. She thinks she’s one of “the girls” and snuggles right in. At first I thought she might be a distraction since my daughter struggles with reading and would rather be doing ANYTHING else. However, she’s turned out to be a real asset. 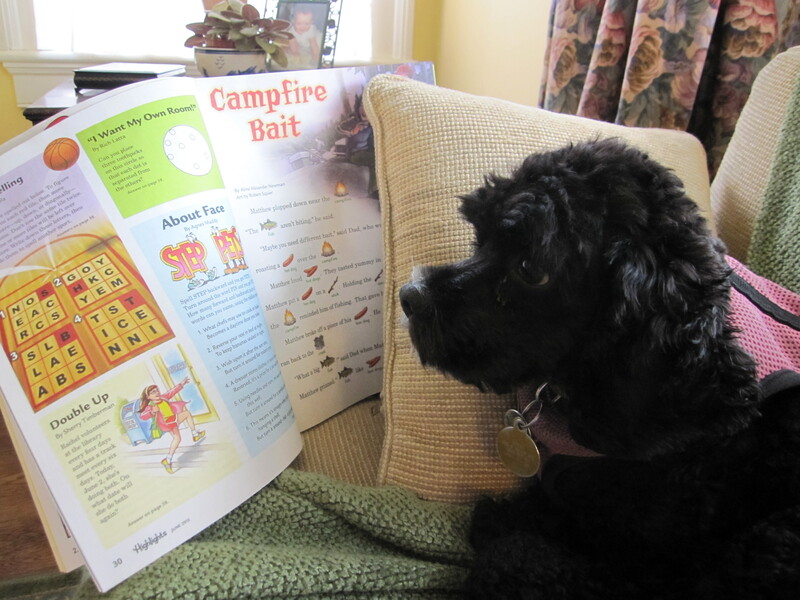 For starters, when Sophie curls up with us, story time is extra warm and cozy – perfect for bedtime! Because she likes being with us, she’s also very still and relaxed. This makes my daughter calm and relaxed as well. Now instead of my having to remind my daughter to settle down for stories, she reminds me! Since Sophie has joined us for story time, my daughter’s reading skills have improved. In seeming leaps and bounds she’s advanced past early readers, to early chapter books. Now we’re taking turns reading paragraphs from THE LITTLE HOUSE ON THE PRAIRIE series. I can’t wait to see what she picks next. Whatever it is, I know Sophie will enjoy it. So will I.
Hooray for dogs who like to read. Hooray for books. And hooray for little girls who are learning to read.